Pharma Franchise for Anti Inflammatory and Analgesic Range– It’s quite difficult to deal with two different Pharma Franchise Companies for Anti Inflammatory medicines and Analgesics drugs. Even the price range and quality will also always be an issue. But somehow you get the finest quality with the best opportunity of Pharma Franchise for Anti Inflammatory and Analgesic Range both from an individual Best Pharma Franchise Company. So here is the best chance. 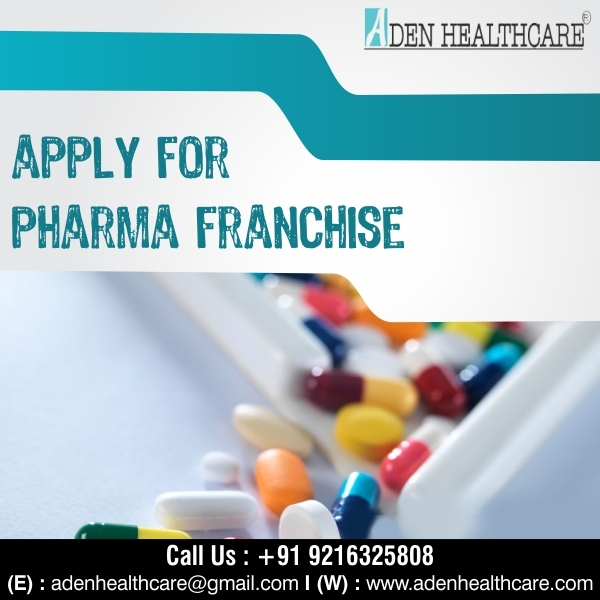 Aden Healthcare the popular ISO Certified Company brings this Pharma Franchise Opportunity in India. Nonsteroidal anti-inflammatory drugs are useful in providing relieve or reduce diseases such as arthritis, asthma and chronic obstructive pulmonary disease. Similarly, Analgesics drugs are useful to treat and reduce pain in the body. There is always a quite heavy demand for Anti-Inflammatory medicines and Analgesics Drugs in the market. Therefore to meet the demand and need of consumers. We Aden Healthcare introduces Best Pharma Franchise for Anti Inflammatory and Analgesic Range. It’s a great Pharma franchise for Anti Inflammatory opportunity for someone who is looking forward to expanding his Franchise Business. It will also prove as best for newcomers also. So to know more regarding the franchise opportunities and rewards. You can contact us at +91-9216325808. Even you can drop us an email at adenhealthcare@gmail.com. We always here to assist you. As per some surveys, there is quite a shortage of over the counter Anti Inflammatory medicine and Analgesics drug in the marketplace. Regarding this, there is no best Pharma Franchise for Anti Inflammatory and Analgesic Range Company in the market. Global Analgesics Market will be going to increase $26.4 billion by 2022, as per the CAGR of 7.1% during the forecast period 2015-2022. According to the World Health Organization (WHO), approximately 235 million people suffer from asthma. Therefore Anti-Inflammatory Therapeutics Market will increase to $106.1 billion by 2020, registering a CAGR of 5.9% during the overcoming period 2015-2020. Which means in the upcoming period in India. There will be going to be a heavy demand for Anti Inflammatory medicine and Analgesic drug in the market of India. So the Pharma Franchise for Anti Inflammatory medicine range and Pharma Franchise for Analgesic drug Range will prove as the best option to grow in the field of Pharma Franchise Business. Being as the leading Pharma Franchise Company for Anti Inflammatory and Analgesic Range, our motive always remains the same from the very first day to provide the best quality medications. Therefore our every medication prepares as per the guidelines of GMP and WHO. As a leading Pharma Franchise for Anti Inflammatory and Analgesic Range company, we give a wide arrangement of items, arrangements, and administrations utilized in the determination, treatment, and checking of patients and in the manufacturer and supplier of Anti Inflammatory and Analgesics Drugs. We help enhance results for medicinal services suppliers and for treatment trend-setters in India by introducing a wide Anti Inflammatory Medicine List. This implies the expanded limit, enhanced profitability, and better patient results. We additionally plan to help our clients in the quest for accuracy wellbeing: human services that are incorporated, profoundly customized to every patient’s needs and that decreases waste and wastefulness. You can without much of a stretch get in touch with us whenever by utilizing our numbers and get some information about our franchise opportunity. We are constantly ready to give you our profitable help. Therefore, since the beginning, our organization has been conveying the best ever arrangement from our end. that will be conveyed by our group of specialists in the most productive way. We comprehend that packing is the principal thing that will be seen by the clients previously its quality. Bundling is another vital thing which is required in each medication for the simple first focuses. Therefore we have kept up a different packing section in our organization, which is dependable to guarantee that every one of the medications are completely pressed.All the workers who are assigned in this department make use of the best ever methods for leakage and breakage proof packaging for all medications like Anti Inflammatory medicines, Analgesics drugs, OTC medicines etc.